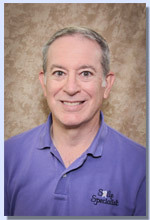 Bruce A. Weitz, D.D.S., Inc.
Lorain and Cleveland Area Dentist - Bruce A. Weitz, D.D.S., Inc.
Bruce A Weitz DDS, your local dentist in Lorain, Ohio, offers complete dentistry services for your entire family. Our services include root canal therapy, teeth whitening, veneers, dental implant restoration, crowns, bridges, and both partial and complete dentures and teeth fillings. Located in Lorain, Ohio, we are your family oriented dentist, treating patients ages 2 to 102. We use the most up-to-date imaging equipment for dental X-rays to limit radiation exposure, photos and a digital cavity detection system used for non-radiographic imaging. Everyone is treated like a friend here and you will not get lost in the masses. Our dental team stresses the importance of recall exams and maintenance to increase the longevity of your dental work. Our treatment plans are easy to understand and will make both parties happy. Our dental office exists for the dental and medical health of our patients. We serve all our patients in a courteous, professional and family-like manner. We offer affordable state of the art care, to promote regular preventative care in our office, and at home so our patients can enjoy a lifetime of good dental health. We monitor your medical health and refer you to your regular health provider if we observe or uncover an irregularity. Our employees are highly motivated providing an enjoyable and positive atmosphere for your dental experience. We are not a big office, so you will not get lost in the shuffle of larger practices. We are conveniently located in Lorain, Ohio on Cooper Foster Park Road. We are very close to Amherst, Vermilion, Avon, Avon Lake, Oberlin, Wellington, and Sheffield Village. Visit our contact information page or call us at 440.282.1396 to get more information about our dental office in Lorain to schedule your next appointment.